In Ayurveda, the ancient Indian medicine, the holistic approach is the basic principle. Only when body and mind are in harmony, a happy and healthy life can be enjoyed. To achieve this, it is important to know what your dosha type is. Take the following test to find your most dominant dosha. Finding which dosha is more dominant is simple: being familiar with the nature of your body makes it easier to satisfy your needs and untilizing mental potential is imporoved. Thus, balancing the dominant dosha through nutrition is adapted. The three doshas are comprised of Kapha, Pitta and Vata. The doshas dominate not only the physical appearance, but also the personal behavior and disease resistance. When the doshas are in balance, the mind and body is content, healthy and strong. Once an imbalance occurs, physical ailments of all kinds become more apparent. These ailments can range from minor restlessness to more serious illnesses. 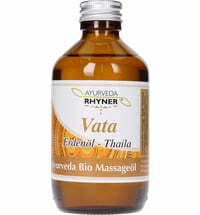 Vata is categorized as "nerve energy". In Ayurveda, it symbolizes the principle of movement in our body. It is formed by the elements of air and ether. Vata incorporates the movements of breathing, heart and digestion. The nervous system, musculoskeletal system and immunity belong to this elemental substance. Pitta is referred to an the inner fire and thus associated with the fire element. Pitta doshas control digestion, metabolism and energy production, as well as being resonsible for intelligence and mental abilities. Kapha is formed by the water and earth elements. 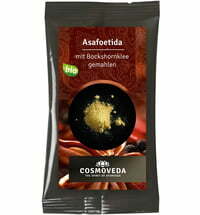 It refers to the principle of stability in the body and gives the body endurance, immune strength and peace. It is not unusual to have a mix of two dominant doshas since each human being possesses a level of all three doshas.